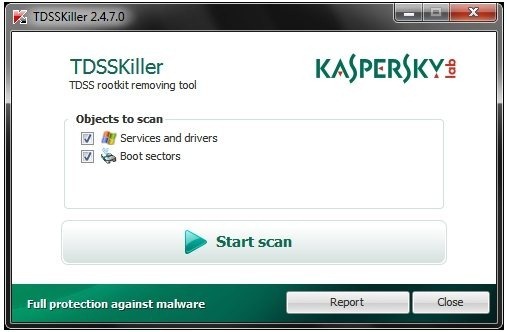 TDSSkiller is a free anti-rootkit software from Kaspersky lab. This free anti rootkit software detects rookits and bootkits on your system, and removes them. It has a nice graphical interface, and is quite easy to use. The scanning speed of TDSSkiller is quite fast, and normally it finishes scanning system for rootkits within a few seconds. Kaspersky introduced this separate anti-rootkit software as Kaspersky antivirus does not natively protects against rootkits (to be fair, many of the free antivirus do not). 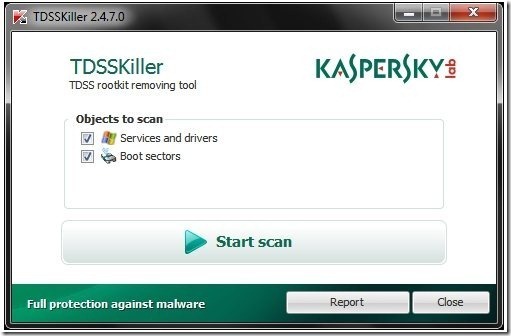 However, to use this free anti-rootkit software, you do not need to have Kaspersky antivirus. Now, it is actually possible that some of the results that TDSSkiller shows are actually legitimate files, and not really rootkits. Deleting or quarantining such files might actually corrupt your system. So, the next step is to confirm that the file detections pointed out by TDSSkiller are actually malware. For that, you can upload the suspicious files to some online virus scanner, or just use the VirusTotal uploader. Once it is confirmed that suspicious files are indeed infected with rootkits or malware, you can delete them or quarantine them using TDSSkiller. You can also use another rootkit remover to get a second opinion.